How can one begin to assess the numerous contributions of a great cornetist/trumpeter/composer/bandleader/educator? How can one also adequately offer a testament for an artist who is such a high quality human being and who profoundly touches so many lives? 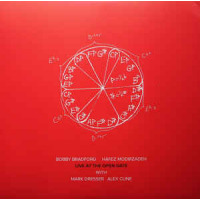 Those of us who have been blessed to know Bobby Bradford for a number of years can attest to a probing, powerful intellect that assimilates the history of Jazz in a highly unique manner, drawing conclusions that are as innovative and provocative as one of his solos. His understanding of the history, coupled with his embracing of Jazz’s mandate for innovation, reveals itself in his teaching, playing and composing. I have profoundly admired his brilliant mind, up-tempo wit and his usual location of being two or three steps ahead of everyone else. Like Lester Bowie, he has achieved an individualistic incorporation of Louis Armstrong’s musical language and has placed that influence within the context of modern Jazz’s avant-garde movements. Like Sonny Rollins, J.S. Bach and Ornette Coleman, Bradford has a strong penchant for using musical sequences in both his compositional and improvisational languages. Also like Sonny Rollins, Bradford has a remarkable gift of musical memory. These gifts along with a boundless imagination have consistently enabled Bradford to deftly organize his improvisations. I am consistently stunned by the exquisite musical architecture instantaneously created in his solos. These improvisational edifices give room for his listening audiences to roam within them--exploring and discovering something new about him and themselves. Bradford’s rhythmical language is extremely diverse and his lyrical leanings give many of his solos an emotional depth that only the best practitioners in the music achieve. Bradford is Bradford - coming out of Louis Armstrong, Thelonious Monk, Fats Navarro, Charles Parker, Dizzy Gillespie, Lester Young - yet still Bradford. One crucial aspect of Los Angeles’ musical scene, from Bop to Free Jazz, was that one had to find his or her individual sound. It is impossible to confuse one note of Bobby Bradford with that of any other trumpeter or cornetist. His sound uses a smidgen of air, sometimes in a fashion similar to Ben Webster or Paul Gonsalves’ use of air, as an expressive part of the sub-tone sound. Bradford’s timbral specificity within his language (not the one sound fits all ideas approach) adds a vocal quality to his playing that exudes emotional sensitivity not often found within the context of new music. Just as Horace Tapscott was during his lifetime, Bobby Bradford is an important musical and personal mentor for many in the Los Angeles basin. To this day his Mo’Tet ensembles continue to help to develop many younger and mature musicians. 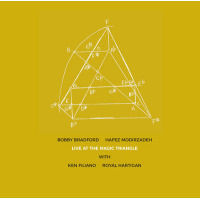 I first met Bobby Bradford in 1973 in Claremont, California while he was playing in Stanley Crouch’s group, “Black Music Infinity.” The front line of Black Music Infinity consisted of Bradford and alto/soprano-saxophonist Black Arthur Blythe. It was amazing to hear the two of them together. Looking back, I am convinced that it is still one of the most effective front lines that I have ever heard. Eventually the ensemble expanded, adding David Murray, trumpeter Walter Lowe, Mark Dresser and me. Bradford’s influence on all of us younger members of the ensemble was immense. He treated each of us as if we were his equal, although we were struggling mightily, trying to come to grips with the distance between what we were able to articulate and the precious gold that poured out of Bradford’s cornet and Blythe’s alto sax. I can clearly see his (and Arthur Blythe’s) imprint on all of us. A few years later when Bradford opened up The Little Big Horn it became the place for the avant-garde community in the Los Angeles area. The grim realities of segregation that characterized much of the Los Angeles musical scene were left outside of Little Big Horn’s doors. For the most part, it had a feeling of hope and determination. It was clear that Bradford was highly respected in numerous communities and that this high standing was a force that united many. Bradford’s openness gave musicians and listeners a freedom that was rarely found in Los Angeles’ performing establishments. 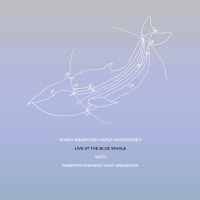 John Carter, William Jeffrey, Roberto Miranda, Vinny Golia, Mark Dresser, Tylon Barea, Diamanda Galas, Charles Owens, Alex and Nels Cline, Allan Iwohara, Azar Lawrence, Wayne Peet and many others were able to explore all that they artistically had to offer. To discuss Bobby Bradford one must also reverentially look to clarinetist/composer John Carter. 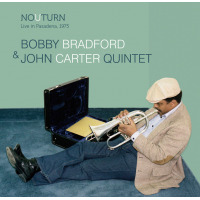 Bobby Bradford and John Carter performed exquisitely together for decades. They were very close friends, although musically they had very different personalities. When they came together to perform, their Texas roots emerged, both of them being masters of the Blues and Texas-Bop Traditions. The blues was an undercurrent in much of their music. Added to the Texas roots was a powerful focus on producing something new and fresh in every performance. John Carter called it “futuring”. Their groups were the example of how an ensemble can create in a way that the whole greatly exceeds the sum of the individual parts. Thank God for “futuring.” Thank God for Bobby Bradford. Happy seventy-fifth birthday Maestro Bradford! May many more birthdays come your way! All About Jazz musician pages are maintained by musicians, publicists and trusted members like you. Interested? Tell us why you would like to improve the Bobby Bradford musician page.